We have seen many instances on this site alone of bizarre material submitted as science, especially when attempting to support universal common ancestor evolution. Perhaps the silly practices in the secular science industry are an extension of Western society as a whole. It is one thing that David J. Slater's unattended camera was used for pictures and a "selfie" by a macaque monkey (monkey see, monkey do? ), it is quite another that there were court battles about the selfie. Most notable is one based on an eldritch view of animal rights. Slater thought he owned the copyright, but the Ninth US Circuit Court of Appeals drew up the reigns and hollered, "Whoa!" 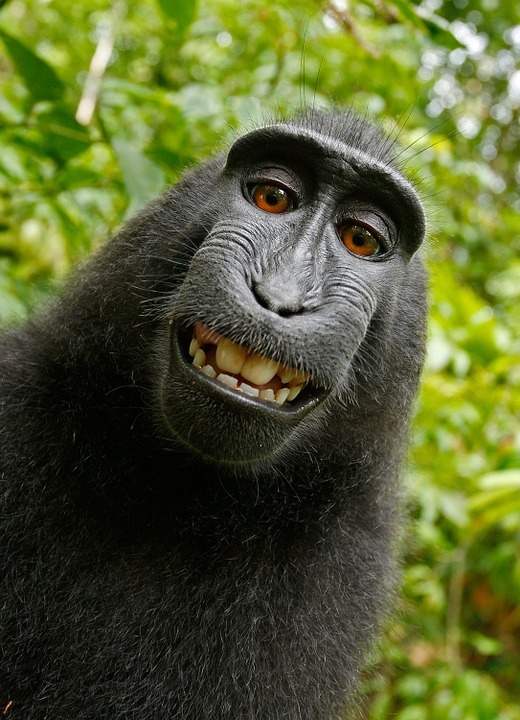 This extremely liberal court has rulings frequently overturned by the US Supreme Court, so it is surprising to me that they did not side with PETA's "next friend" attempt at getting legals status for the monkey. PETA was also attempting to get money, which would probably be used to support domestic terrorism. Why was this "monkey as a person" thing not thrown out of the legal system long ago? Our indoctrination in evolutionary thinking is one big reason. Indeed, there have been attempts in the past to give chimpanzees legal rights, but an unborn human child does not have rights. For that matter, do a search on "personhood amendment", where ballot initiatives are undertaken to give the unborn babies the legal status of persons, which is what they are anyway. Also, the not-so-Great Britain seems to be developing a habit of demanding the deaths of ill young children like Alfie Evans and Charlie Gard. People are less important than animals, it seems. Simply put, the secular view is that since we have all evolved, humans are just another animal. It is an interesting self-contradiction: we climbed to the top of the evolutionary scale, so we should be able to do what we need or want to ensure our survival and prosperity. Why are humans crying about "other" animals? Don't be disunderstanding me. We have been given a responsibility to care for animals and refrain from gratuitous and unnecessary killing. Despite eco-terrorists like PETA and the Unabomber, and movements to care for the environment and the critters we share this here planet God gave us are usually well-intentioned. But we are most definitely unique, not "just another animal", and are created in God's image. Evolutionary thinking is incoherent, and the biblical wordview — beginning from Genesis — is the only one that makes sense. This article was inspired by Dr. Albert Mohler. (That's been happening a few times recently for some reason.) Anyway, I recommend reading the transcript or hearing his commentary on the segments, "A monkey’s day in court: What happens when a secular society loses the ability to ground human dignity in anything objective", and "Wonder turns into confusion: The inevitable outcome of taking an evolutionary understanding of humanity". To investigate, click on the Wednesday, Apr. 25, 2018 edition of The Briefing. One other thing I'd like to suggest. It's a sermon about 35 minutes in length by the late Adrian Rogers. It's called, "What's Wrong with Animal Rights?" The direct MP3 download link is here. A recent article in The Guardian discusses how Alex Beard and his wife wanted to study their newborn child's ability to learn. Various cameras were installed, and this interesting (but possibly utilitarian) study indicated that children have a high capacity for learning. This is not all that surprising, since scientists have learned that children begin learning even before they are born. Beard said that the best robots and forms of artificial intelligence are unable to compete with human learning. His naturalistic worldview does not allow for a rational explanation for human intelligence, nor does he consider the fact that we are made in God's image. He is right that robots cannot compete. Credit was erroneously given to evolution, and not the Creator who designed us with the capacity for intellectual development and abstract thinking, and created us in his image. His naturalistic worldview would not allow for such things. To read or hear about this, click on this episode of The Briefing by Albert Mohler. For a bonus, his next item discusses what Dr. Mohler calls a "higher form of nonsense". Namely, that grandparents are a process of evolution. Keep an eye out for the contradiction as well, that evolution is supposed to be purposeless, but there is a teleology (evolution has a purpose) involved. Some people have said that pain is useful because it lets you know that you are alive. I reckon that may be true, but most of us dislike pain because it hurts. We do not want to hurt. Simple. There are a few people who like pain, and some people think that this is because the line between pleasure and pain is a bit fuzzy. The picture below represents ecstasy, but I thought her expression was of agony at first. Physical discomfort is a prompt warning that something is amiss. Don't be grabbing the coffee pot off the campfire, that will send signals through your nervous system mighty fast! Pain causes violent reactions, such as dropping the hot coffee pot. Something's wrong, deal with it quickly. There are conditions where people do not feel pain, and they have to be exceptionally careful or even have someone watch them because they can be damaged and not know it. 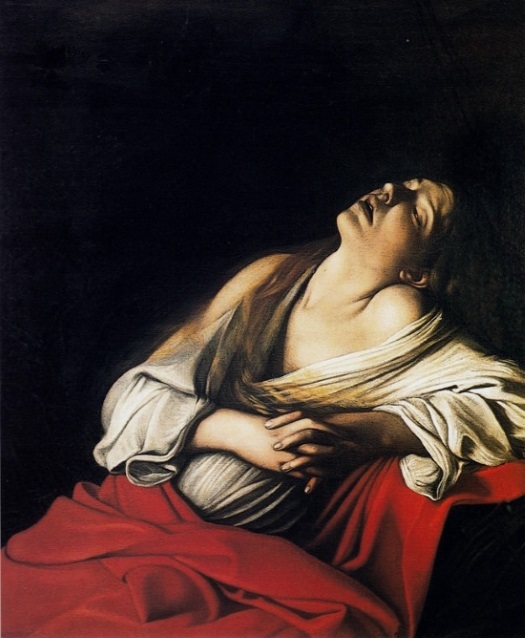 Was the capability of feeling pain present at the beginning of creation? I respectfully disagree with the doctor who wrote the article linked below because I think it was there all along because of its function. Also, the pleasure and pain feedback travel within us using very similar pathways. Once again, the Master Engineer designed us to respond and take action when we're being damaged, as well as to feel pleasurable sensations. Things got cockeyed after the Fall of man, though. Ouch! Your daughter snatches her finger back at the first prick of a rose. Eek! Your son jumps back the instant his bare feet touch your sunbaked deck. Our reflex response is a blessing, prompting us to withdraw at the first sign of trouble and preventing worse harm. Pain protects us from bigger problems—not just outside but inside. The pain of an inflamed appendix, for instance, often drives us to seek medical care before the appendix ruptures. As a medical doctor and a Christian, I’ve seen innumerable cases where such pain has helped people in this sin-cursed world. To finish reading or download the audio version, click on "Is There Anything Good About Pain?" Last time I checked, the established dogma of universal common ancestor evolution included purposeless change. We have seen several times that these evolutionists are resorting to pantheism, animism, mysticism, and so on. If you check your Charles Darwin Club Secret Decoder Ring©, you will see that materialists are making evolution into an entity, and tacitly appealing to design, not chance. But those things are against their rules. 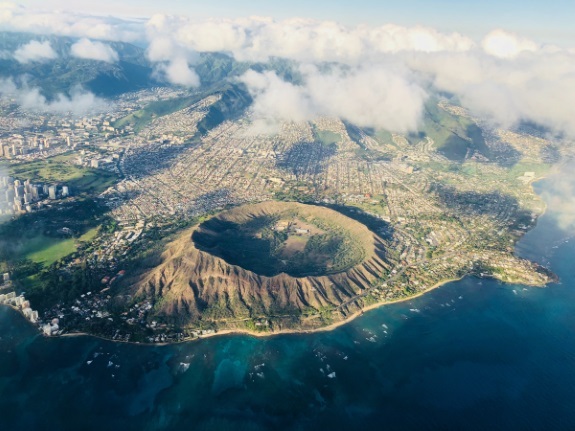 Some stick spiders in Hawaii would undergo some changes to suit their environments when they headed to other islands. Darwinists incorrectly refer to the changes as "evolution", but that is the opposite of the truth. Variation, sure. Speciation, maybe. Also, the changes are quite rapid. But they still remain essentially the same, and no new genetic information is added. What really puzzled the researchers (before they got bored and looked for something shiny to play with instead of doing further research) is that the changes had predictable patterns. This is yet another illustration of engineered adaptability that the Master Designer gave various organisms. A long-standing evolutionary argument is that creature diversity is essentially a random process. But new discoveries increasingly show serious flaws in this claim and are highly consistent with a design-based framework. The findings support the idea that adaptation is intensely purposeful. . . .
To read the entire article, click on "Stick Spider Adaptation Is Purposeful and Predictable". People like my wife are not exactly fond of bats, and it does not help matters that we seldom see them in the daytime, and their appearance can be a bit startling. Movies and scary stories have not helped their image, either. A willingness to get the bigger picture and appreciate their design can go a long way. Bats have been using echolocation long before humans developed it, as have dolphins and other critters. Also, bats are known for eating a wagon-trainload of insects every night. Did you know that some lap nectar? Yes, they do it when hovering over flowers. Some interesting research on how their tongues are put together is enlightening. Then the research was spoiled by the obligatory homage to Darwin, that animals evolved what they need. Blessed be! 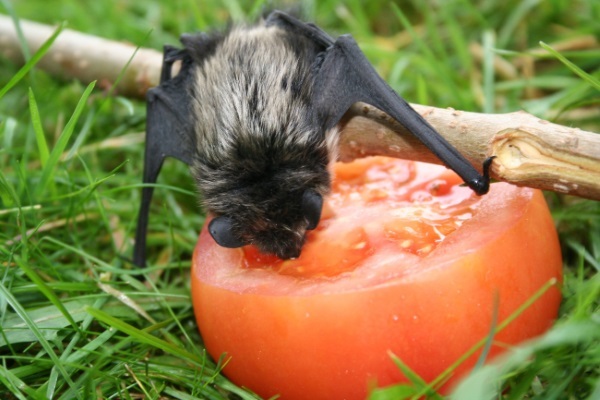 A study on the Egyptian fruit bat's echolocation was conducted, and surprised researchers. They thought that since it had big eyes and came out in daylight, its echolocation would be more "primitive". Not hardly! Then the kissing of Darwin's ring commenced, saying how they can learn about the evolution of echolocation. That's assumption, buttercup, not science. The real kicker is when a bat study, under controlled conditions with a select, limited population, allegedly shows a possible relationship with humans and communism! The study involved scrounging off the hard work of others. (You know, sort of like how evolutionists scrounge from the hard work of science established by Christians in the proper environment.) Then the researchers made the foolish comparison between bats and human behavior. Why do these jaspers still get paid? "By the way, it evolved" is not a scientific explanation, nor is it logical. Looking at the intricate details, it is logical to conclude that the Creator put things in their place for bats to survive. Evolution doesn't have a wing to fly on. To read about these stories and see the commentary, click on "Bat Designs Tainted by Batty Evolution Stories". You may also like to see, "No Signs of Bat Evolution". Percival Lowell was certain that our solar system had a ninth planet, and began searching for it in 1905. After he died in 1916, nobody continued the search for several years. Clyde Tombaugh was able to resume the search later on, and announced the discovery in 1930. It was named Pluto by 11-year-old Venetia Burney. However, even with the best available telescopes, Pluto was only seen as a dot. It took NASA's New Horizons probe to give us a good look at it. This gave the world a passel of surprises. Although Pluto was downgraded to dwarf planet status in 2006 by the International Astronomical Union, it has five known moons. The largest is Charon. These objects have thwarted cosmic evolution stories in several ways, including how the solar system is arranged with the four more solid bodies nearest the sun, then the gas giants, and you eventually get to the trans-Neptunian objects that are rocky again. Pluto and various moons in the solar system tend to baffle secular astronomers because they don't "act their age". Instead, several show signs of being geologically active, some even being "too warm". The indications reveal that the solar system was created far more recently than materialistic conjectures allow. Biblical creationists have some reasonable speculations to present. Our view of Pluto changed dramatically in the summer of 2015, with the first photographs from the New Horizons spacecraft that flew past Pluto. Launched a decade earlier, New Horizons carried a suite of scientific instruments, including its superb camera, to explore Pluto in depth for the first time. To say that astronomers were shocked would be to put it mildly. 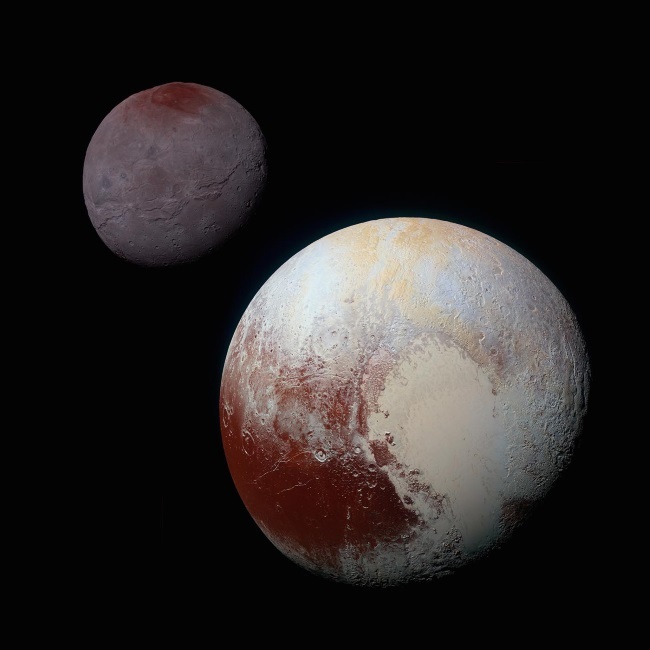 Astronomers thought Pluto’s surface would be saturated with craters, but it wasn’t. To read the entire article (or download the free MP3 version), click on "The Puzzle of Pluto". Using basic scientific knowledge and doing some thinking, we can see that uniformitarian geology (present processes are the key to the past) does not explain many of the landforms or the huge landslides that we see with our own eyes. Using the Genesis Flood as a model, those geological features that are perplexing to secularists make a great deal more sense. Case in point, the transportation of hard rock boulders. Some sidewinders get on the prod and indulge in prejudicial conjecture and ad hominem attacks. They try to dismiss the deep time-defying Flood geology, saying it never happened and that there is no evidence of the Flood. Assertions do not create facts. You're showing your bigotry and lack of education, old son. How about doing some research before showing yourself a fool again? And I don't mean reading creationary material and chanting, "That's not true! You're a liar! Real science says..." Be intellectually honest. Tell your friends. Geomorphology is a field of study involving the features of the earth’s surface. It provides dramatic evidence of the Recessive Stage of Noah’s Flood. The floodwaters rushing off the land into the oceans, initiated by the mountains rising and ocean basins sinking, would have eroded massive amounts of rock from the continents. This flowing water would have transported the material for long distances, pulverizing the softer rocks and rounding the harder ones. We would expect to find rounded, hard rocks far away from the mountain ranges where they originated. This is exactly what we do observe, and Flood runoff seems to be the only way to account for these observations. The following are some telling examples. To keep reading, click on "Long-distance boulder deposits reveal Noah’s Flood". 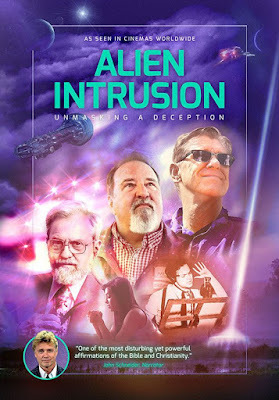 Since the movie project Alien Intrusion: Unmasking a Deception was first announced by Creation Ministries International, I've been chomping at the bit to see it. Unfortunately, I was unable to see the movie in the cinema. Trusting past experience, reviews from various people, having read the book, and so on, I did something that I've never done before: pre-ordered five copies of the DVD. Now that I've seen it, I can tell you that I'm glad I did. (I think my brother just guessed what he's getting for Christmas.) This isn't strictly a review, since I have a few things of my own to add. As with the book by Gary Bates, the video of Alien Intrusion required a huge amount of research. There is video footage from past documentaries and interviews, as well as quotes from various books and such. There were some excellent CGI moments as well. The video was equal to, and often surpassed, the quality of secular documentaries I've seen on various subjects. Maybe you saw John Schneider on television in The Dukes of Hazzard some 35 years ago, or more recently as Superman's stepdad in Smallville. Didn't occur to me that he has a great voice for narration, and he was an excellent choice for Alien Intrusion. Seems to me that some shows can be ruined by having a good narrator do most of the talking, but Schneider was not played out. Other people had their turns at speaking as well. We hear from Gary Bates, CMI scientists like Dr. Robert Carter and Dr. Jonathan Sarfati, UFO researchers, experiencers, and more. The movie begins with the framework for alien life: the Big Bang. You've probably come across (or even believe yourself) that it's ridiculous to assume that Earth is the only inhabited planet in the universe, and there must be other life out yonder. Such statements are ultimately based on the Big Bang and assumptions stemming from that belief. However, the science behind it is severely lacking. Further, the impetus behind the belief in extraterrestrials is atoms-to-aliens evolution. After all, we "know" that life evolved here, so it must have, by the huge number of worlds based on Big Bang assumptions, evolved elsewhere in the universe. Therefore, aliens. We are also given an overview of the fascination with aliens presented in various media. People have wondered about the existence of beings on other worlds for a mighty long time, with authors like Jules Verne writing about space travel, H.G. Wells presenting a Martian attack on Earth, and others. With moving pictures, space travel and aliens were prominent in many stories. Seems like things really took off (heh!) during the Cold War. If you study on it a spell, you can see how many of those classic movies from the 1950s were using alien invasions to represent our fears of attacks from the Soviet Union. If we allow for the sake of discussion that extraterrestrials exist, there are several problems that arise. One is, why would they travel trillions of miles from various places to come here? Also, the logistics of their travel are insurmountable. "We meant to say, Mars." "You know about Proxima Centauri b. Nice and close to Earth." That planet's star gets on the prod and emits solar flares that would destroy all life. "Our translators are acting up, sorry. We are from the planet you call Kepler-78b". Rocky, way too hot, and secularists say it shouldn't even be there. Why bother? New Age spiritists "channel" your ilk. Could have saved yourselves a trip. For that matter, I remember reading some investigative reporting by Frank Edwards on flying saucers. People claimed to have seen entities that fit what was described on old science fiction pulp magazines, popular novels, and movies. After the elongated "grays" became popular, those were the most commonly encountered. No sign of creatures in silver suits and bubble helmets anymore. Alien Intrusion points out that a high percentage of people believe in Unidentified Flying Objects, and that UFO has become synonymous with alien spacecraft in the minds of many people. (Actually, a UFO is something that is as yet unidentified. Simple, really.) There are also many people who claim to have seen UFOs, had close-up encounters, and even been abducted. All those people claiming to have had sightings cannot all be hoaxers. Many have strong reputations for being rational and objective. These people have various occupations, locations, philosophies, and so forth, and seem to exhibit little or nothing in common. Can't just write them off, old son. Many are so traumatized, they do not discuss their experiences; you may know some and be unaware of their inner torments. The Christian church should be the first place of counsel and refuge, but most Christians are uninformed about such things, so experiencers seek solace in their own support groups. These groups can lead to deception. I'll allow that many aspects of seem implausible, and the movie points out that many encounters cannot be scientifically investigated. Some people claim to have been levitated, taken through ceilings and walls, even making journeys to other worlds. They believe such things have happened, and exhibit psychological reactions. Can't very well investigate such things, though. Not all of the sightings themselves be rejected as errors, since they are documented in many ways. Indeed, some US government officials have gone on record that some sightings were covered up. (Sorry, the "Roswell Incident" has a prosaic explanation, although it was shrouded in secrecy.) Since most UFO reports — including those from indisputable, authentic sources — describe them defying the laws of physics, it has been suggested that they are not extraterrestrial, but transdimensional. That is, from a parallel universe. 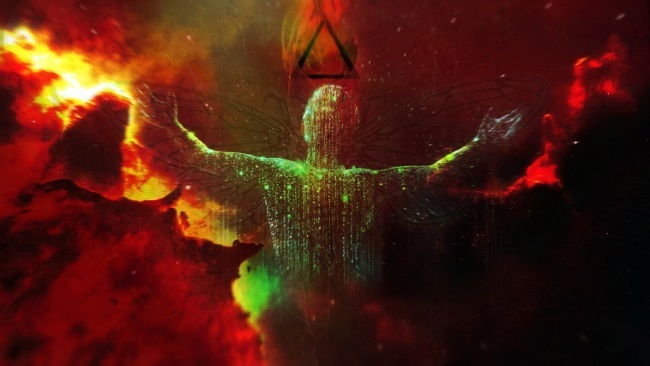 Although parallel universes are frequently referenced in Big Bang secular cosmogony, there are some people who present the view that spiritual entities (such as angels and demons) are transdimensional as well. This transdimensional aspect may tie in with the reports of people moving through solid objects with their abductors, but I'm just speculating. The movie also makes a strong case for something that has been postulated by several people. Namely, that UFOlogy and alien experiences have become a de facto religion. The earlier question about why they supposedly came such long distances and changing their stories about their origins (and having various appearances at first) also applies to what they have to say. Alien encounters are a major part of New Age religions (do a search on "channeling aliens"). What do they say? Each is an ancient alien race that is more highly evolved and wants to help us evolve as well. They want to bring us a new religion as a part of humanity's spiritual evolution, so throw away that dusty old Bible you haven't been reading or believing anyway. Various people are told by aliens that they have been chosen to bring forward a new religion. 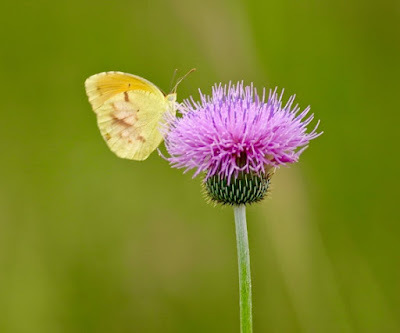 Consider that through the ages, there have been beings of various sorts in many cultures, whether Celtic, Native American, or from other places. They are distractions from the truth. Let's cowboy up and face it: Satan will use whatever means to redirect people away from the truth of the gospel. He doesn't care if you're into cults, atheism, evolutionism, the occult, UFOlogy, liberal theology, politics, or whatever. Alien Intrusion: Unmasking a Deception makes a very strong case that extraterrestrials are, in fact, demonic and not physical beings. For example, when Bible-believing Christians are being harassed, they call upon the name of Jesus and the abductions stop. Some "aliens" even exhibit fear of Jesus. Why should physical beings from very far away care about what they consider a religious figure? Because they know he is the Creator, God in the flesh, our Redeemer. That is the deception that this movie unmasks, and it makes a very compelling case. People who knew me long ago would be surprised at what I've said here and over the past few years, because I used to believe that aliens existed. My views were inconsistent, because I also rejected evolution, and believed aliens were created. Then I got both my science and theology in order. But I still watch and read science fiction, suspending my disbelief. There is a strong gospel message that is strongly presented at the end. This involves biblical passages, some theology, and testimonies of researchers and experiencers. Unfortunately, the church as a whole has dropped the ball in this area, as there are many traumatized and hurting people who can be helped but are forgotten (or unknown in the first place). People who are not believers can be made aware of the truth of Scripture and how they can be delivered from spiritual oppression, whether from demons pretending to be extraterrestrials, or others. I do have one minor problem. The movie seemed to be ending about three times before it actually concluded. This was probably because of what I anticipated from other documentaries, where the narrator has the last word. So, wait for the credits. Y'all knew from the onset that I liked this movie. I am hoping that you will see it and even use it as an educational and outreach tool. After attending a screening of our movie Alien Intrusion: Unmasking a Deception, David H. wrote in with the following question. Just a question: I saw your movie tonight, and was interested by its explanation for many alien/UFO phenomena as being spirit-based. But I don't understand how UFOs: (1.) can be tracked on radar and (2.) similarly recorded on film and in photographs while still being spirit-based? And some of them are recorded as performing very complex high-speed maneuvers. How can this be possible for spirit-based entities? In our last exciting episode, we saw how modern bird fossils have been found in places that frustrate minerals-to-mallard evolutionists. There are additional developments in paleontology that make matters worse for their fundamentally flawed worldview. It seems that pterosaurs were doing right well until they were't. That is, they did not just decline gradually, but they appear to have pretty much stopped suddenly. 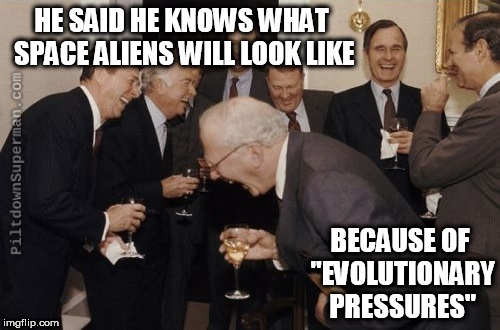 Secularists try to use the asteroid impact extinction story (where all sorts of other critters inexplicably survived while others wound up taking a dirt nap). There's no evidence for this sudden demise, however, just speculation. A recent discovery in a phosphate mining area showed a pterosaur with a wingspan the size of "a small plane", about nine meters (30 feet). That bad boy would spook the horses something fierce! Wouldn't have made the cowboys comfortable, either. In the same time scheme (according to Darwin years, that is), pterosaurs and Archaeopteryx lived at the same time. (I'll call him Archie, since I can't spell Archaeopteryx.) Biblical creationists have been pointing out for decades that Archie was a true bird, and not a transitional form between dinosaurs and birds like Darwin's disciples claim. Secular scientists have agreed that Archie was a true, ancient bird, and it was capable of powered flight. Oh, sure, some still cling like a crazy ex-girlfriend to the transitional form notion, and others claim that creationists are trying to "deliberately mislead Christians about this creature" when we present evidence, but they cannot change reality: birds and dinosaurs were created separately — and recently. 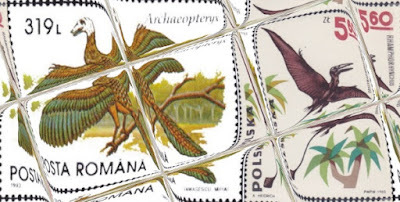 To read about these flying things, click on "Pterosaurs and Birds Flew Together". Fossils that are not found in the established order put burrs under the saddles of evolutionary paleontologists. Darwin set the stage for modern evolutionism, where organisms go from simple to complex in gradual progressions. The fossil record does not show this. 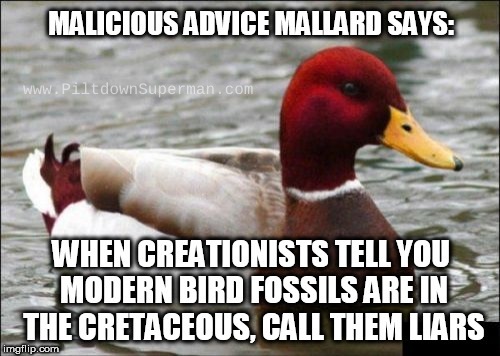 Modern-type birds are not supposed to be found in the Cretaceous, and when biblical creationists point out that such fossils are indeed found there, Darwinoids scoff. They say we're misrepresenting the facts, uninformed, or even liars. (Yeah, that makes sense! Lying to convince people about the holy God the Creator and his written Word, the God who hates lies, and we do that — absurd on the face of it.) How about honestly examining the biblical creationist material? However, creationists are accurately using the material of evolutionists against them, and showing that their interpretations of the evidence are wrong. Although your typical village Darwin bot may appeal to outdated, biased material in Wikipedia or an atheistic propaganda clearinghouse, he or she will not change reality. Fact is, Earth is young, and evolution in the Darwinian sense never happened, old son. The fossils do not support materialistic worldviews. Since at least 2009, when Dr. Carl Werner published Living Fossils the second volume of his Evolution: The Grand Experiment series, creation researchers have used the argument that modern-type birds have been found in the same Cretaceous layers with dinosaurs. Dr. Werner cited several examples from paleontological literature in his book, and there have been additional papers written more recently which also made similar claims (a few of which will be examined). But a recent tactic has been to denounce creationist claims along these lines, or to claim that these examples are erroneous or misrepresented. This article will examine some secular paleontological literature and put forth a case to rebut the claim that there are no examples of modern-type birds found in Cretaceous rock layers. Don't get all a-twitter, you can finish reading the article by perching on "Modern Birds in the Cretaceous?" Seems like the goal of the secular science industry is not to learn and interpret data, but to make naturalistic pronouncements. This may play well with atheists and other owlhoots advocating long ages, but discoveries should be teaching them a bit of humility. Not happening, Hoss. Here, we'll look at space exploration. Regular readers of this site (and the linked sites as well) have seen numerous items that have startled or shocked secular astronomers and cosmologists because they exhibit signs of youth, not an ancient universe. This is primarily because these scientists are operating from naturalistic presuppositions, denying the Creator who made everything much more recently than is dreamt of of in their philosophies. Also, planets both in our solar system and outside (known as exoplanets) get cosmic evolutionists on the prod because they are in defiance of planetary formation concepts. 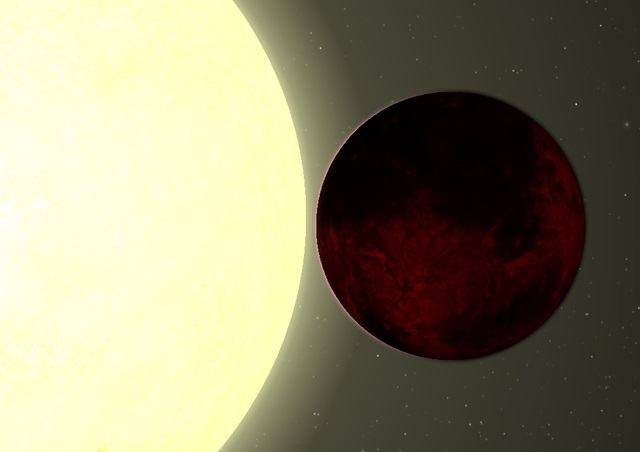 Kepler-78b "shouldn't exist", but there it is anyway. Not much of a vacation spot, though. Hot, rocky, in the "wrong" place...ever notice they they still haven't found anything remotely possible of habitability? To read the rest of this short article, click on "Kepler-78b: The “scorching lava world” that 'shouldn’t exist'". For a similar article, click here. Humans and several critters have what is called stereo vision, which gives us the ability to ascertain depth, distance, and so forth. Such vision is not all that uncommon, but you would not expect to realize that the praying mantis is the only insect known to have this ability. Sight itself is an intricate process. Light is received by the eye, then the brain processes the information so that the organism can make sense of it, often in a hurry. (Ever see a horse shy away from a rattlesnake that it saw but the rider didn't?) 3-D vision is even more complicated. It alone is in opposition to molecules-to-mantis evolution, but to be found in an insect is further evidence of the Master Engineer's craftsmanship. The research on these critters is rather fascinating, and I found it a bit amusing as well. In the animal kingdom, many types of creatures use stereo vision to determine the distances between them and visible objects. In humans, each of our eyes records a slightly different version of what is observed. These two different views are then accurately merged in our brains to produce a single image—computationally using the differences between the two images to allow us to visually gauge depth and distance. This process, referred to as stereo vision, isn’t unique to humans. Animals like monkeys, dogs, bats, cats, and horses also use it. Interestingly, in the vast world of insects, the only creature to have stereo vision is the praying mantis. This is a big conundrum to evolutionists because all other types of insects have eyes on the sides of their heads—a visual set-up which requires a completely different type of neurological processing system. 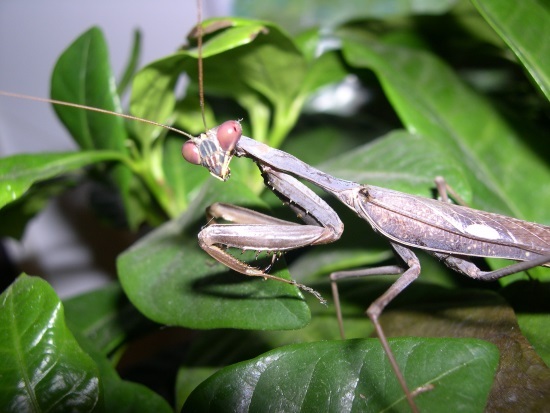 To read the rest, click on "3-D Praying Mantis Vision Confounds Evolution". We expect Darwin bots to say ridiculous things on forums, social media, and so forth. They often do not understand their own mythology or the workings of science. Ironically, biblical creationists often need to correct them. When trained scientists jump the corral fence and go running off into fantasy lands, that is a bit more concerning. David Coppedge rounded up some of these items: Stephen Hawking knew what happened before the fictitious Big Bang, Michio Kaku knows what space aliens would look like, we evolved so that we sleep less than apes, so we're prone to get Alzheimer’s Disease (this is evolutionary teleology, which contradicts alleged evolutionary processes), and more. To read about these items, click on "Media Give Absurdity a Pass If It Is Materialistic". For a related item, see "Most Common Phrase in Evolution Media: 'Earlier Than Thought'". One more, if'n y'all don't mind: "Unchallenged Darwinism Produces Sloppy Science". Evolution itself is not the invention of Charles Darwin, but instead, is an ancient pantheistic religion that Darwin got all gussied up and put forward as science. His ideas have been adjusted for over 150 years because they do not work. As we have seen in several recent posts, Darwin's disciples are becoming increasingly unscientific and mystical in their pseudoscience. 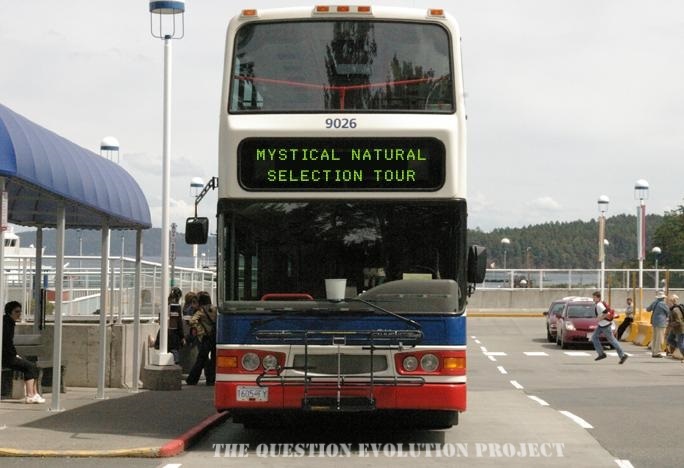 Natural selection is not understood by evolutionists, and some are putting forward a version that is loaded with mystical overtones. 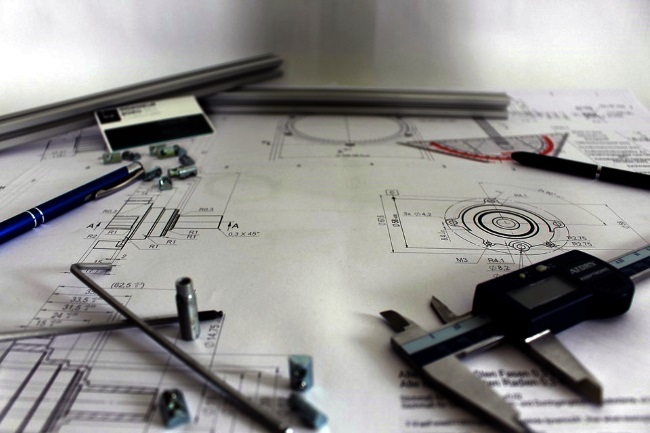 Evolutionists conjure up forces as unscientific rescuing devices to cover the failures of scientists' conjectures. There are more, but let's take a gander at some really fun stuff. Fun, if you're into weirdness masquerading as science. Secularists cannot account for the origin of life (often trying to distance themselves from it, dishonestly claiming it has "nothing to do with evolution"). Nor can they account for consciousness (or the soul) itself, although they try to find the source of it in the brain. Now scientists are showing their desperation to avoid the Creator's truth by invoking something similar to "The Force", New Age religious notions, or maybe some American Indians' Manitou religion where everything has some degree of consciousness. What are Darwin's handmaidens smoking, anyway? The idea has no science, and is entirely based on blind faith. In addition, evolutionary thinking has not only hindered real science over the years, this kind of strangeness hollers "Whoa!" to science itself! Atheists and evolutionists arbitrarily define science as naturalism, and even if the logical conclusion is that the Master Engineer designed an organism (or that Darwin was wrong from the get-go), it is not science by their assertions. See how that works? It's who they are, and how they hijack science. Evolutionary secularists often fancy themselves as hard-nosed empiricists who are immune to the allures of “magical” thinking. However, as the inadequacies of materialistic naturalism become more and more obvious, we shouldn’t be surprised to see them embracing mystical ideas—a trend noted by ICR founder Dr. Henry M. Morris more than 30 years ago. The origin of life and the origin of consciousness are arguably the two most difficult things for evolutionists to explain. They must insist that life somehow came from non-living chemicals even though there is zero experimental evidence for this. To read the rest, migrate yourself over to "Evolutionary Mysticism and the End of Science". One of the biggest issues that gets proponents of universal common ancestor evolution and other old earth advocates on the prod is dinosaur soft tissues. Although soft tissues and such have been found previously, the work of Mary Schweitzer and microscopist Mark Armitage analyzing dinosaur blood and soft tissues really brought the subjects into prominence. Some evolutionists try to deny it, even saying that biblical creationists were misrepresenting the discoveries or outright lying. But the subject simply will not go away. Some of us won't let it. So, secularists and their religious useful idiots keep the excuse mill at the Darwin Ranch running at full steam. Compromiser Dr. Hugh Ross has a kind of cult following and some strange beliefs. He has an associate, Dr. Fazele Rana, who has written a book that is a thinly-veiled attack on biblical creation science. It may seem convincing, but Rana did poor research (none of it with the tissues in question under a microscope). He also blatantly misrepresented important facts and ignored others in his quest to manufacture rescuing devices to explain away the implications of dinosaur soft tissues: they were created recently, and did not live millions of years ago. 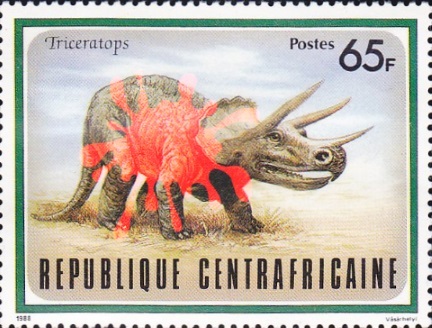 To read the rest, click on "Utterly preserved cells are not remnants—a critique of Dinosaur Blood and the Age of the Earth". You may also want to see "The Mark Armitage Legal Victory and a Clarion Call for Laity to Carry the Torch in the Creation-Evolution Controversy". Engineered Adaptability or Intangible Evolutionary Forces? We have been seeing how Darwin's followers have been appealing to ad hoc stories, unscientific and illogical hypotheses, incompetent evosplaining, and even animism to keep their pantheistic worldview intact. They even resort to evolutionary teleology, which is contradictory to their belief system. I reckon that they know their beliefs are not supported by science, and are simply the product of desperate, blind faith. They are also determined to find excuses to deny their Creator at almost any means available. In the Engineered Adaptability series, we have seen that Darwin believed in external influences to cause evolution. This idea is not tenable, though evolutionists persist in continuing to ride that owlhoot trail. Instead, evidence shows that organisms have been engineered to adapt to conditions, instead of having conditions force them to evolve. Naturalistic scientists are further increasing their mystical views in natural selection (I'll get to that in a later post), and appealing to external "selection pressures" as well as the fact-free concept of "convergent evolution". It is interesting that evolutionists insist on the "fact" of minerals-to-minerologist evolution, but when something is found in nature that has been deemed extinct for millions of Darwin years, then found alive and virtually unchanged from the its fossil record counterpart, it was "stasis". That is, it did not have to change. That means for all that alleged time, there were no environmental "pressures", no genetic changes, nothing happened because it wasn't needed. Yeah, that's "science", old son, and it covers everything but explains nothing. In reality, the sans science, sans facts, sans reality rescuing devices deny the evidence. The evidence shows that the Master Engineer designed organisms to adapt. But they were not designed to change into something completely different. Darwin’s followers appear to be comfortable embracing totally contradictory explanations for the same thing. When diverse groups of organisms share nearly identical traits, evolutionists see that as solid evidence of descent from a common ancestor. But when similar traits can’t be due to common descent, they see it as equally solid evidence for evolution. This is called “doublethink” in George Orwell’s classic novel 1984, which features a fictional totalitarian regime that cunningly uses misnomers or deceptive redefinitions as a means of thought control. You have to pay close attention to disentangle evolutionary “doublethink.” The fact that many organisms share highly similar, non-inherited traits is actually strong evidence against evolution, pointing instead to the information underlying common design. So, evolutionists invented convergent evolution, a mental construct devised to rescue their theory from conflicting observations. For example, they claim the echolocation ability shared by some bats and whales somehow evolved convergently through identical genetic changes in both groups. To read the rest of this very interesting article, click on "Engineered Adaptability: Active Environmental Tracking Explains Similar Features". 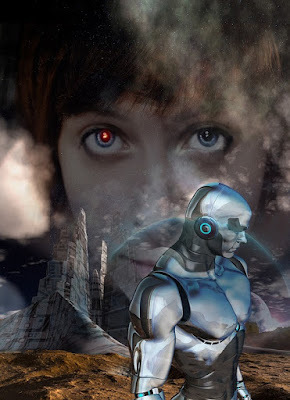 You may also want to see a closely related post, "Sensors Engineered in Living Things".